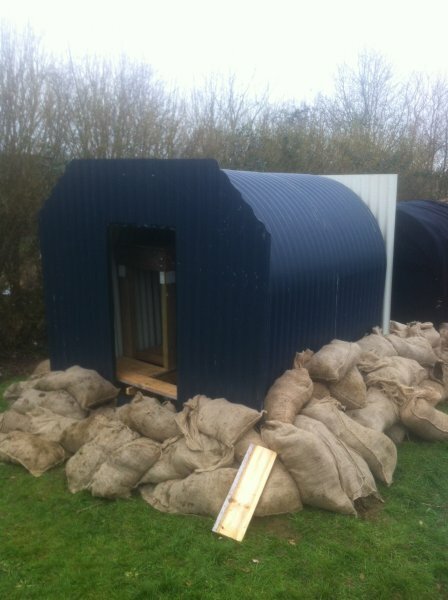 On occasion we combine the theme of WW2 with a DT day which also encourages teamwork. 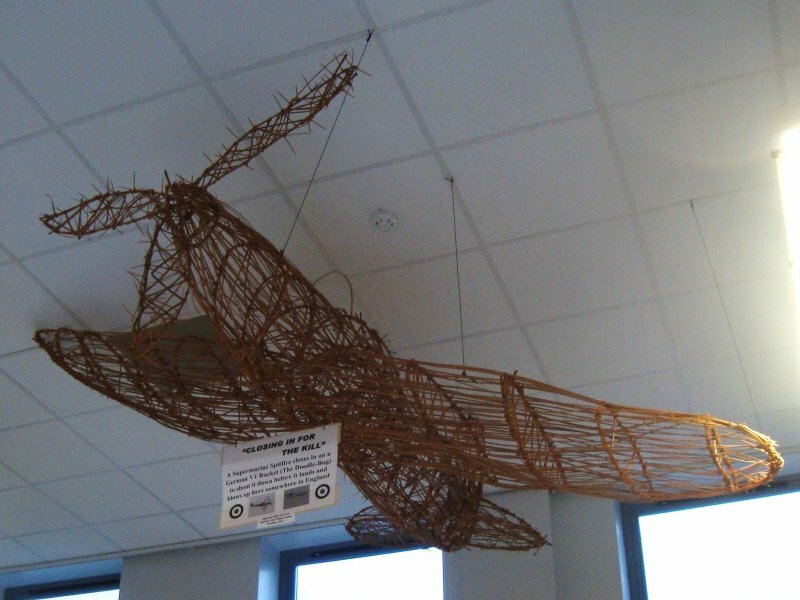 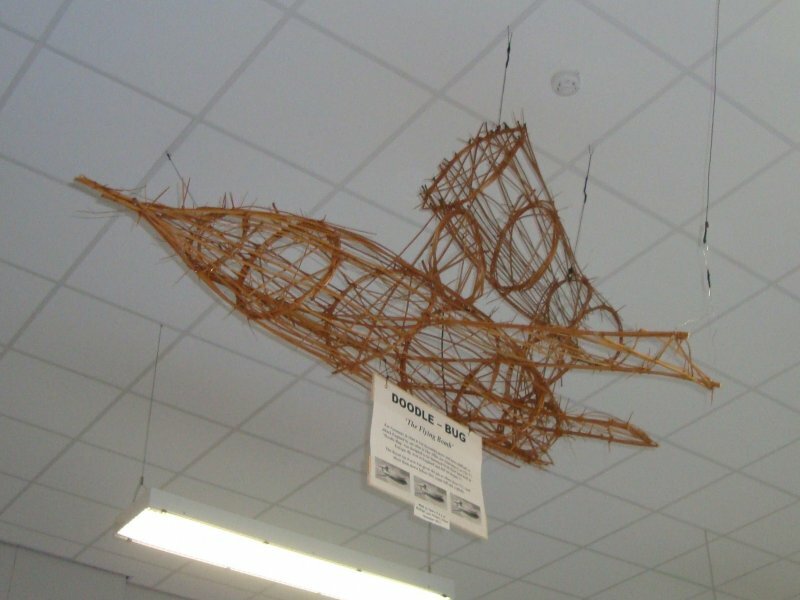 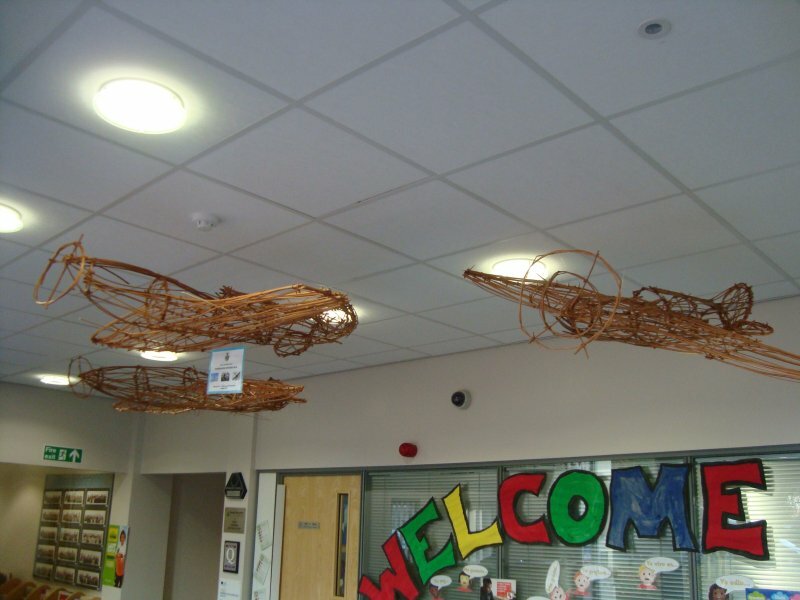 Using withies (willow sticks) the children build 1/3 scale ‘wicker’ spitfire or a 1/9 scale Lancaster Bomber. 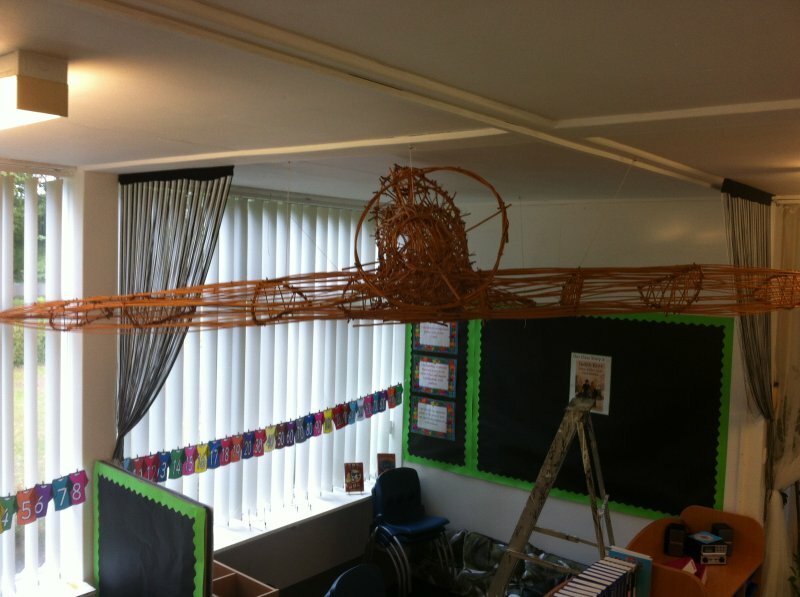 In addition, the children also build Doodlebugs (V1), V2 rockets, mini spitfires and barrage balloons. 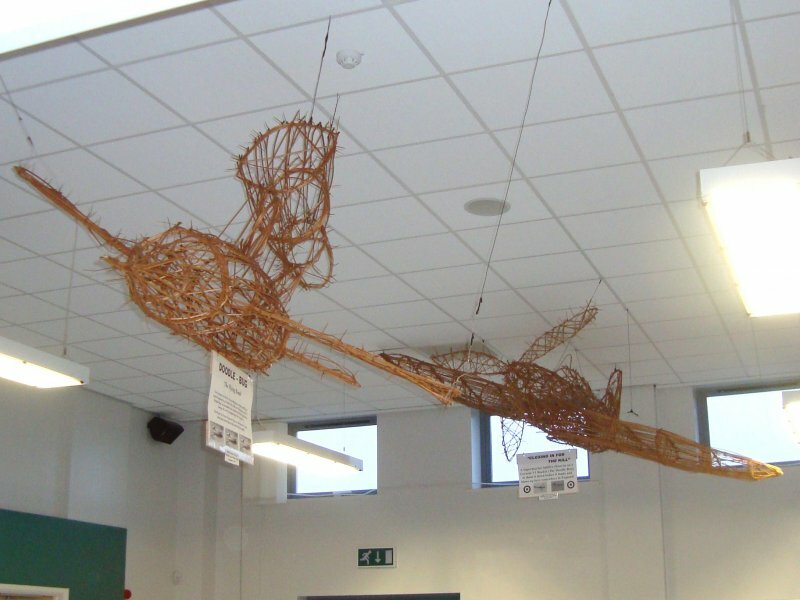 These items remain in the school after the workshop. 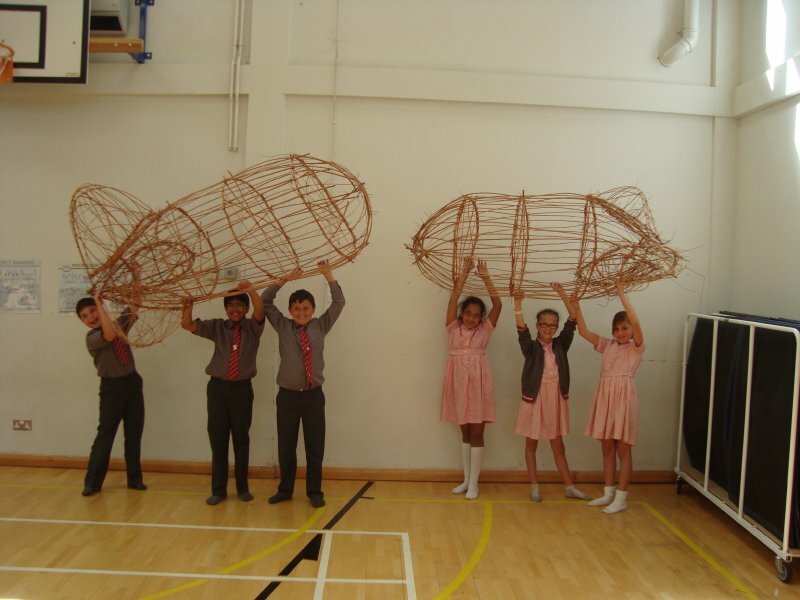 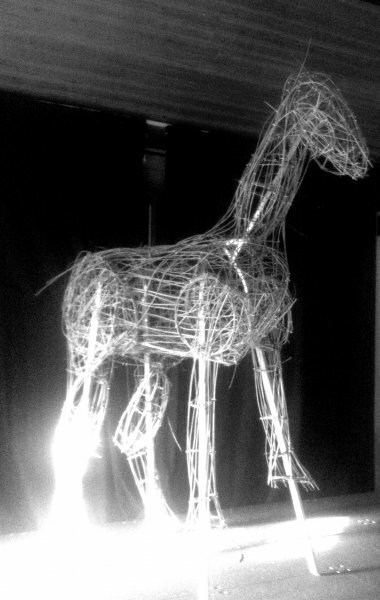 The children work in teams of 3 or 4 to create the sculptures during the course of a full day. 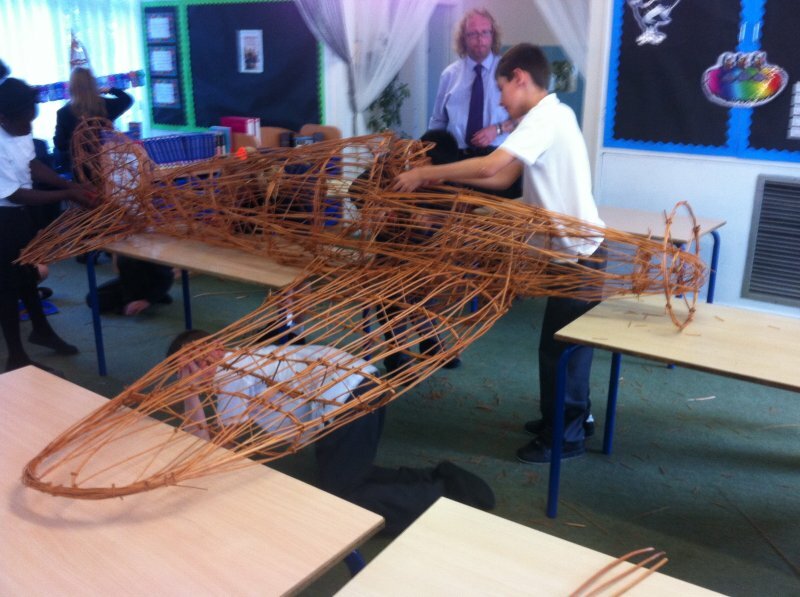 The spitfire is created by four of the teams (building the fuselage, tail section and a wing each). 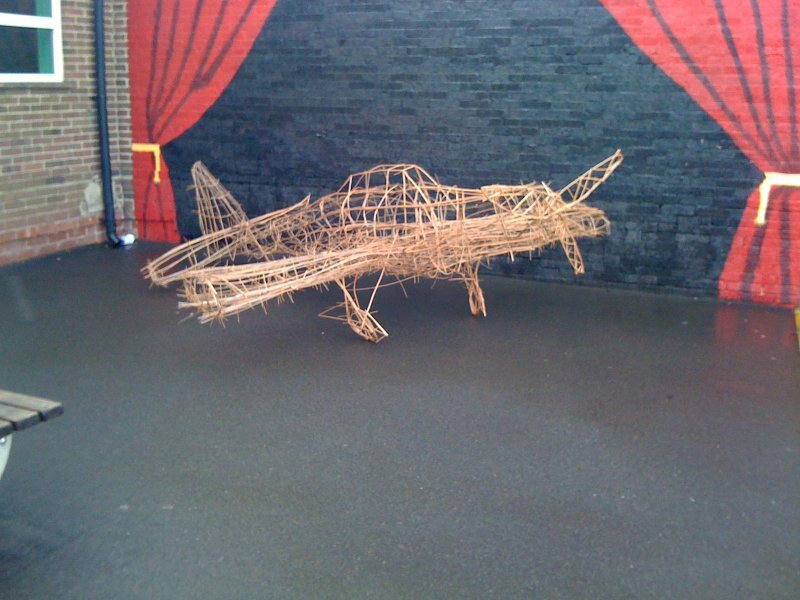 The Doodlebug and other models are created by one team each. 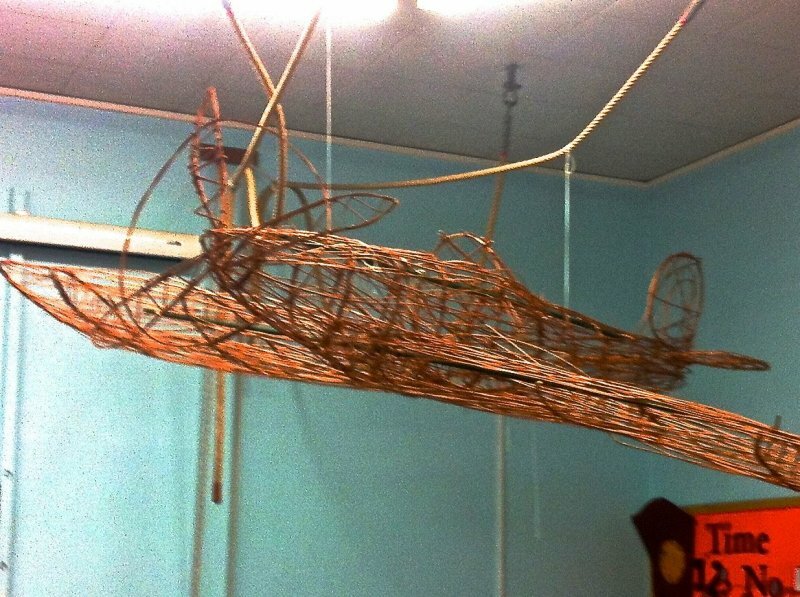 Due to the increased cost of materials for this workshop, from September 2016 this day is £530 (ex VAT). 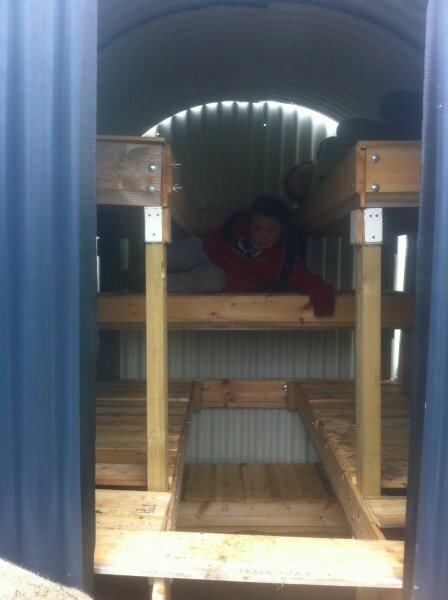 ALTERNATIVELY, the children could build a full size replica Anderson Shelter with a bunk bed for 6 inside. 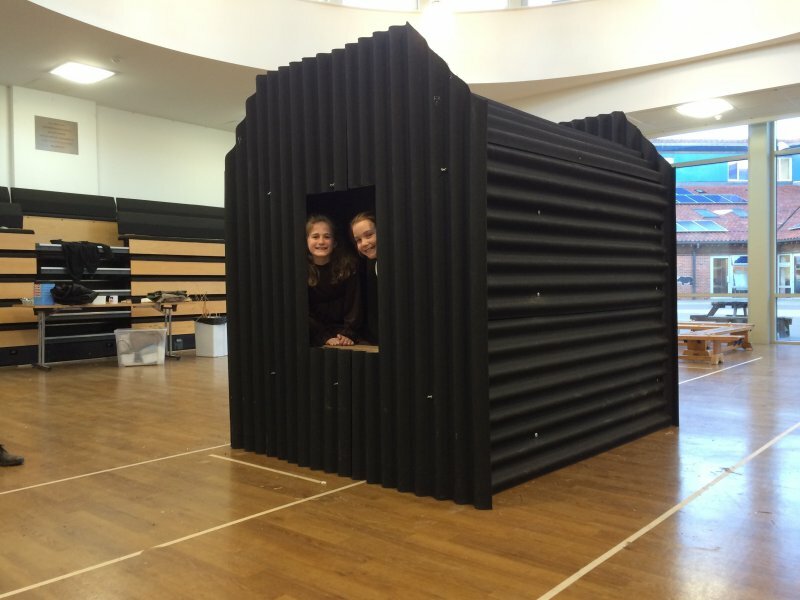 The Anderson Shelter is taken away after school but the school will keep two additional willow Shelters (2/3 scale) which make great playhouses!